Chestermere resident Corianne Froese found her love of edible art after her son requested dinosaur cookies for a school birthday party. 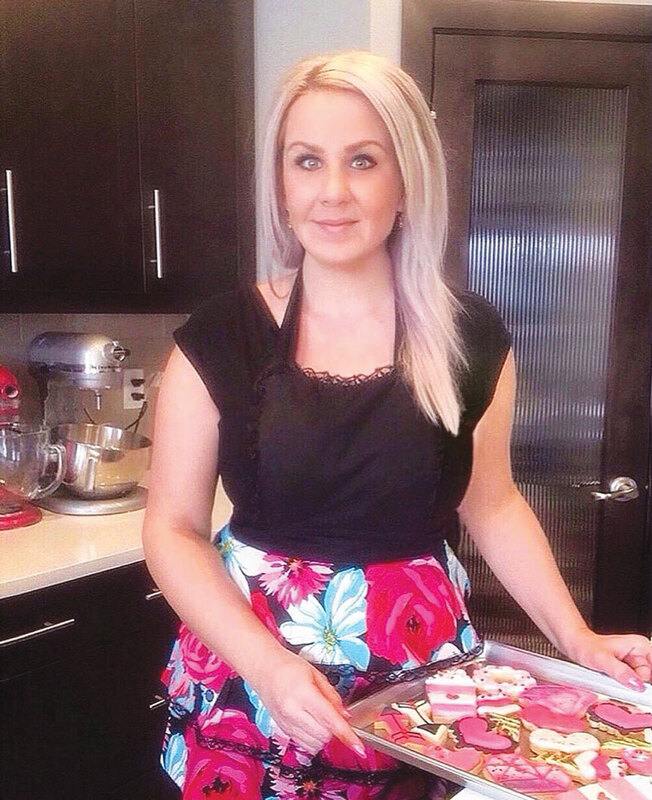 “I thought it couldn’t be that hard, but they didn’t turn out very good,” said founder of Corianne’s Custom Cookies, Corianne Froese. “Being the kind of person I am, I wanted to keep practicing.I enjoyed doing them and I wanted to get better,” Froese said. Now, Froese’s days are spent blogging, fulfilling cookie orders, teaching cookie decorating classes at Pinnovate DIY Studio and operating her new online store Cookie Couture; selling apparel and specialty baking supplies. “I just naturally fell into having a cookie business. It was never an intention. It was just something that happened. The support I’ve received from the community was what made my business take off,” Froese said. Although Corianne’s Custom Cookies grew quickly, Froese still had growing pains to overcome. Educating customers on the nature of her business and the numerous steps involved in creating a custom cookie. A 24 to 48-hour turnaround is just not realistic. “It’s very customized. Orders have to be made in advance, there is a lot of planning involved. A lot of love, specialized tools and time goes into custom cookies,” Froese said. Despite all of the hours spent baking and decorating cookies, giving clients a “Wow” factormakes all of the hard work worth it for Froese. When not working on growing her business, she spends time with her family at the lake, enjoyinglocal parks, or giving back to the community by participating in events or donating to local organizations. “Keeping in touch with the community and showing the face of a small business is important to me,” Froese said. “Cookies started as a hobby for me, it’s still something I enjoy doing, and I’m passionate about,” she added.